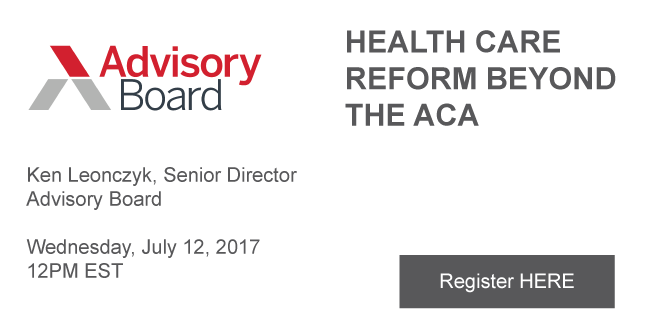 Hancock Daniel is pleased to offer a complimentary webinar, “Health Care Reform Beyond the ACA,” featuring Ken Leonczyk from the Advisory Board. Ken is a senior director and international spokesperson for The Advisory Board Company. In this role, he advises on the strategic implications of health care reform, financing, and performance management. Ken is a featured legal and policy expert on national radio and television shows and has published on a variety of legal and ethical issues. This program will provide an objective analysis of the next era of health care reform. 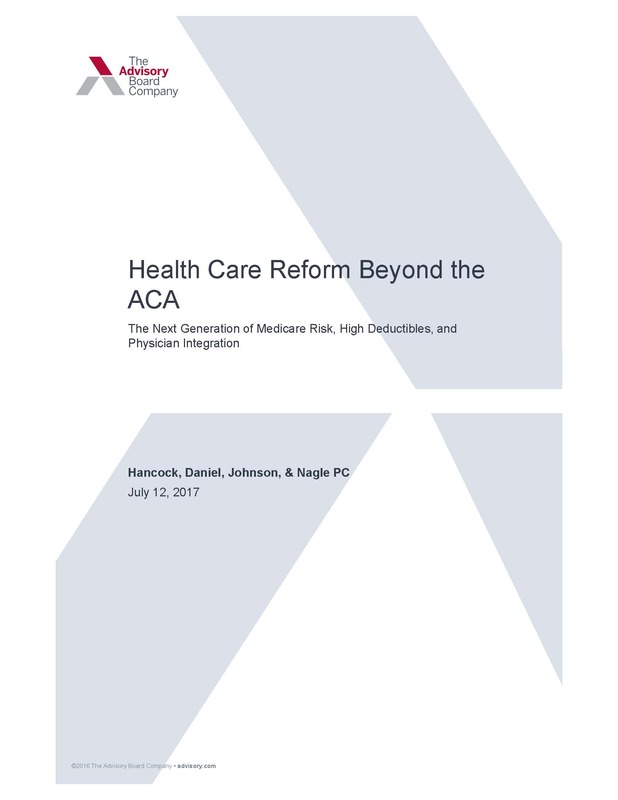 The presentation explores the potential futures of Medicare, Medicaid, and the private insurance market-and what those changes would mean for provider strategy. The presentation also includes a detailed assessment of the accomplishments, the shortcomings, and the unintended consequences of the Obama-era reforms. Understand the latest health policy developments from the Trump administration and Congress—and which reforms substantively impact provider strategy. Evaluate the Obama administration’s progress in transforming how health cares both paid for and delivered. Assess how the Medicare Access and CHIP Reauthorization Act of 2015 (MACRA), by altering physician incentives, is driving hospitals and health systems to take on greater financial risk. Recognize how increasing cost and quality transparency and greater beneficiary cost exposure are catalyzing a true consumer-centric marketplace for health care services.